now reading: Legalize Marijuana? But Think of the Pets! Legalize Marijuana? But Think of the Pets! On November 6th, Washington, Colorado, and Oregon could become the first states to legalize recreational use of marijuana. If passed, the ballot initiatives would allow adults to possess small amounts of the drug under the load of strict regulation and thorough taxation. Polls have consistently shown leads for decriminalization in Washington and Colorado. Opponents of legalization contend that the measures would harm children, conflict with current federal law, promote drug abuse, and increase impaired driving, but they leave out another compelling argument that tugs at the heart strings: marijuana is a danger to your pets! A five-year study conducted by veterinarians in Colorado recently discovered that the number of dogs sickened by marijuana in the state has quadrupled since medical marijuana was legalized. Before, most veterinarians reported treating doped dogs only a few times a year. Now, many of them are seeing these cases multiple times a week. This should come as no surprise, as there are now 204 medical marijuana dispensaries in the Denver area alone. That's roughly three times the number of Starbucks and McDonald's combined! From these establishments, the real pot perpetrators that sicken pooches are purchased: marijuana eatables. Consumers can buy all manner of culinary creations from dispensaries, treats like pot cookies, pot brownies, and pot candy. These rapidly deliver a significant dose of marijuana's psychoactive chemical, tetrahydrocannabinol (THC), and when left out in the open, are incredibly alluring to your average canine. Since marijuana is toxic to dogs in relatively low doses, pets that consume misplaced pot confections will suffer from a host of troubling symptoms. In almost all cases, neurological ailments such as anxiety, hallucinations, severe lethargy, unconsciousness, or even coma will occur. And in a third of cases, gastrointestinal signs such as drooling, vomiting, and loss of bladder control will materialize. Deaths from marijuana intoxication are extremely rare, but they have happened. The aforementioned Colorado study unearthed two such events. Make no mistake, dogs are not getting the enjoyable "high" felt by us humans. 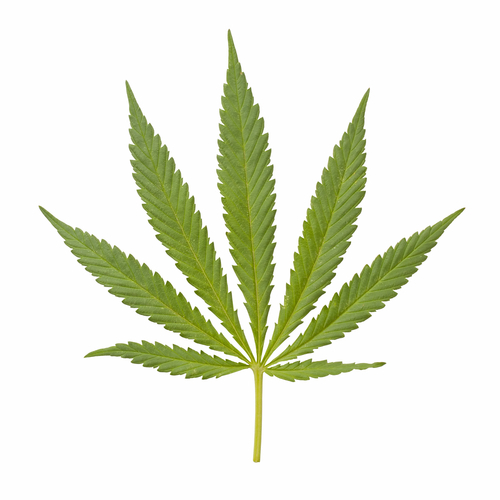 THC is rapidly absorbed into the bloodstream, so symptoms will manifest themselves within minutes. Moreover, because THC is fat soluble, dogs may experience them for up to 96 hours as the chemical gradually seeps from fat stores. So in the time leading up to Election Day, perhaps opponents to marijuana legalization should implore voters to, "Think of the pets!"